Koh Lanta is an island that belongs that the Krabi region and easy to reach from Krabi town. The Koh Lanta beaches and hotels will give you the laid back time you’re looking for. Just to give you an idea how easy it is to travel around: It will take 45 minutes to get from the top to the bottom of Koh Lanta. There are a lot of things to do on Koh Lanta. It’s time to get some Salt in our Hair! The western part of Koh Lanta is full with beaches. Koh Lanta got allot of beaches and we wrote down our 7 favorites. Don’t expect Koh Phi Phi style beaches or snorkeling but they are definitely worth it and a lot more quiet. Then the average beach in Thailand. It’s a small but very relaxed beach and located a little bit remote which makes it an ideal place for people who like a not to crowded beach. Kawkwang Beach is next to Khlong Dao Beach where you will find many restaurants and beach bars. ? Kwakwang is also a nice place to watch the sunset. Love the beach here in Koh Lanta☀️the sand feels like dust between my toes? 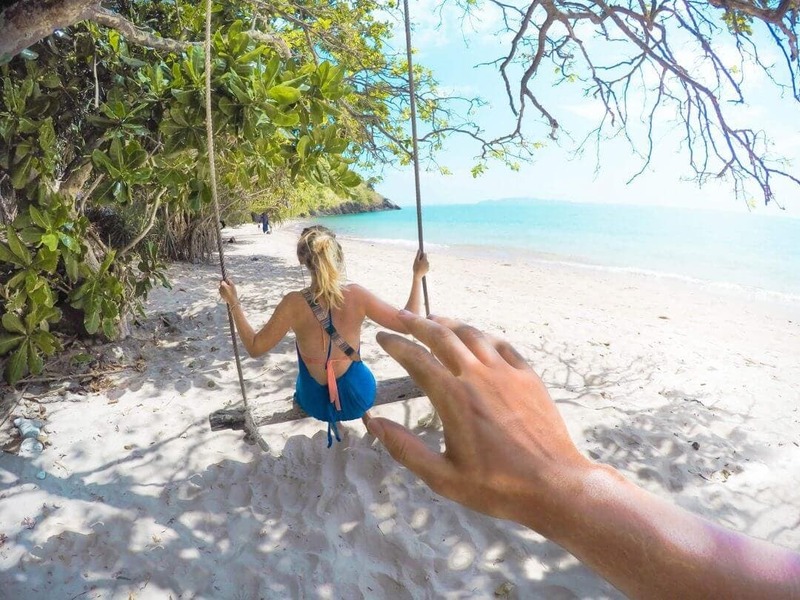 ?#kohLanta #saladan #kawkwang #beach #sun #sunnyday #instatravel #palmtrees#thailand#boyfriend#kjærestetur #vacation #ferieminner#paradise #paradis# @alexsol85 ? White sand, clear water and rock free. 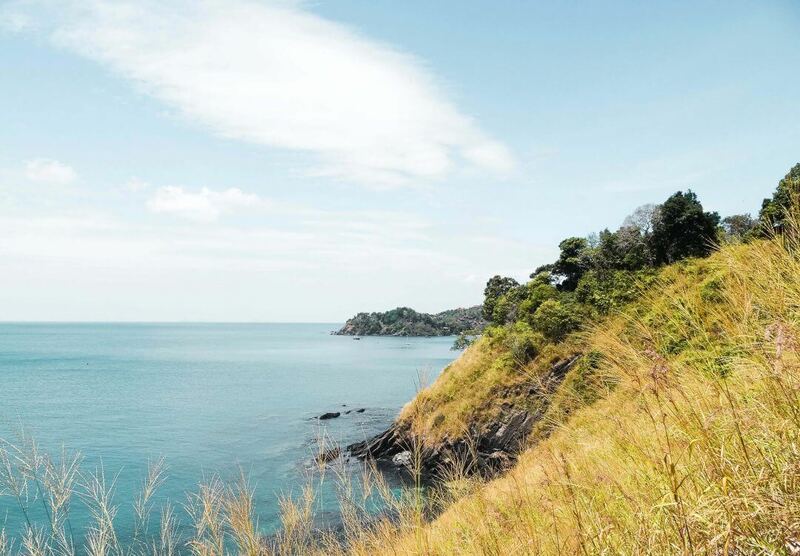 The 3-kilometer long Klong Dao Beach is a walking distance from the main road. Its the most developed bay on Koh Lanta and can get busy in high season. Like most of the Koh Lanta beaches, there’s a great selection of places to stay for all kinds of budgets. Here’s a list of all the Koh Lanta hotels and hostels under $50. With its 4 kilometers, it’s the longest Koh Lanta beach. Never to crowded and you can always find a complete lonely spot in there. We didn’t find really good places to snorkel but the beach is a great one to do an evening walk while the sun sets in. There are plenty of hostels and hotels near this beach where you can stay. A 3-kilometer sand strip in the middle of Koh Lanta. Klong Khong Beach is a great place, especially at night as many bars have their own fire shows and parties. Klong Nin Beach had a lot more rocks in the water, which made it hard to swim. Although they really some really great bars. We spend two of our nights in here watching the sunset! Klong Nin is a bit out of the busy part of Koh Lanta which made it more affordable to stay. The beach places are from 5-star hotels to backpacker style bungalows. 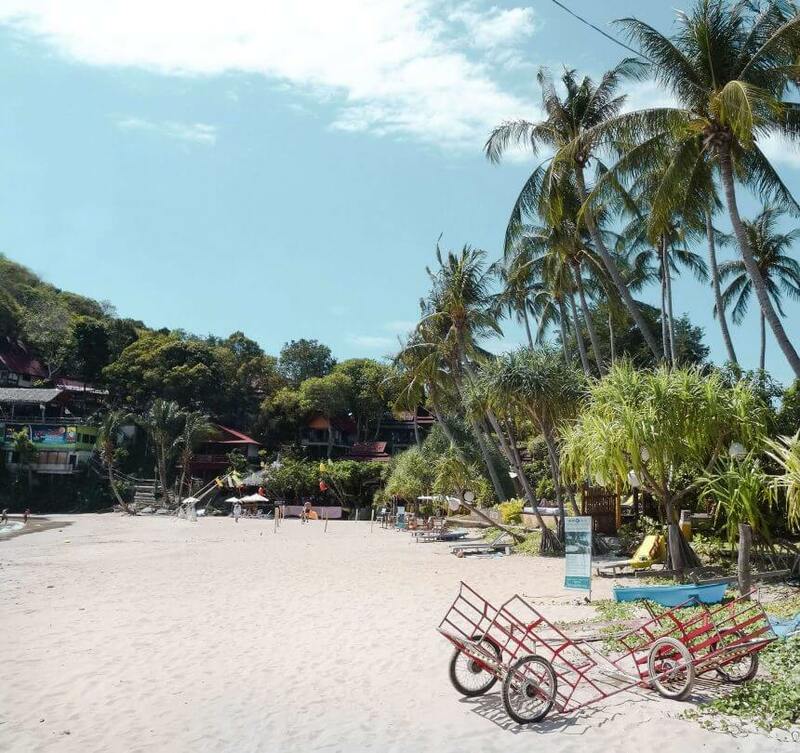 On your way to Koh Lanta’s National Park, you’ll see Bamboo beach. Make sure to at least stop to enjoy this view. 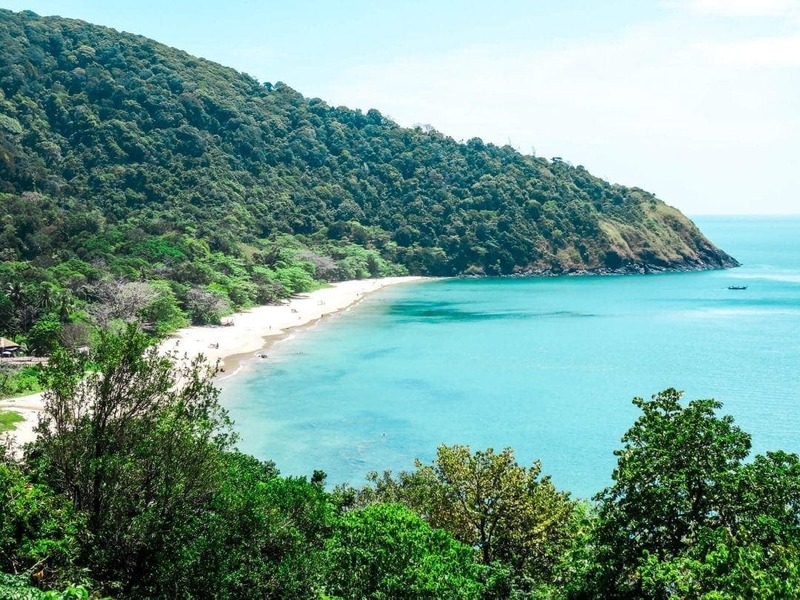 Koh Lanta’s national park is located at the southern tip. The 200 bath entrance fee is worth the double. Enjoy the national park, go see the lighthouse and take a refreshing dip at the beach. You do have to watch your stuff because the monkies aren’t that shy ? But Koh Lanta doesn’t only offer good beaches. 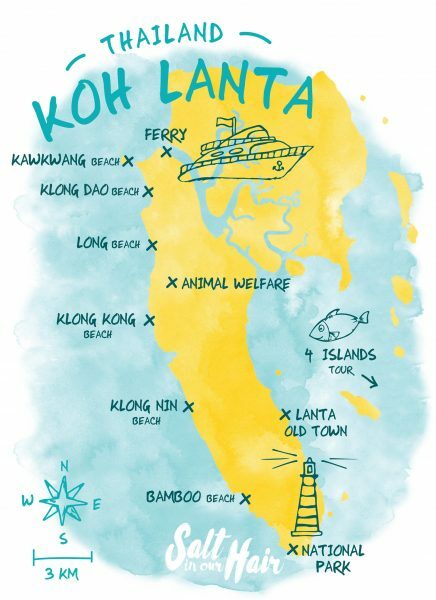 Check out the other things to do on Koh Lanta. Take a flight from Bangkok to Krabi Airport. There are two airports in Bangkok, so make sure you’re taking your flight from the right one. 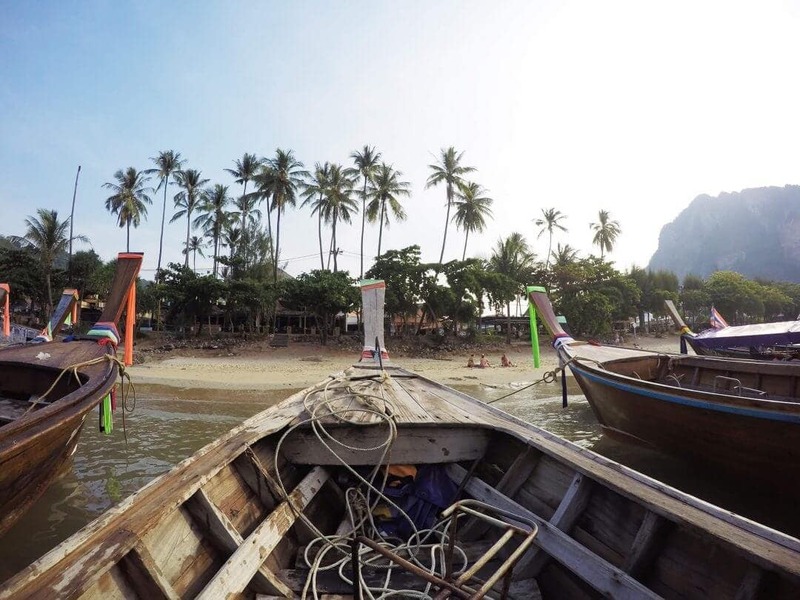 From Krabi, you can take the minivan or boat to Koh Lanta. First get to Bangkok or directly change your destination to Krabi. Hop in the minivan that starts in Krabi. You can’t take the public bus to Koh Lanta since there is no bridge to the mainland. The ferry will take you and the minivan to the pier of Krabi. Many hotels on Koh Lanta are located at the beach. You’ll find 5-star hotels to backpacker beach bungalows which makes it perfect for every budget. One of Koh Lanta's favorite hostels. Located right in front of the beach! Located perfectly near the main road in busy part of Koh Lanta. Also near the pier! These bamboo houses are located near the beach and the 7-11 supermarket. A 5-minute walk from the beach and you'll sleep in these beautiful bungalows.